TAMPA BAY, FLA (January 3, 2017) – In spirit of the Presidential Inauguration this month, Boulevard Burgers & Tap House created “The Trump Tower Burger”. Crafted to capture the traits of Donald Trump and his empire, this burger holds double patties for “Trump Tower” sky-high height, onion straws that embody Trump’s famous blonde locks, and good ol’ American cheese. 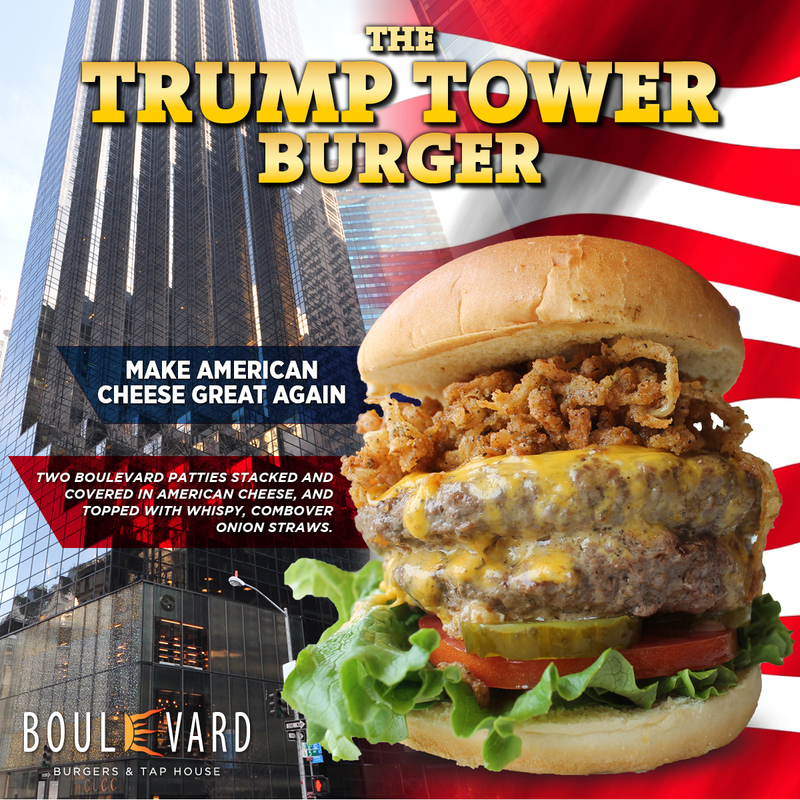 Boulevard Burgers has even tagged its own slogan inspired by President-Elect Donald Trump – “Make American Cheese Great Again”. This limited edition is available for the month of January. Boulevard Burgers & Tap House, founded in 2014, is a local hot-spot on Gulf Boulevard across from Tampa Bay’s popular beaches. This hub offers all sorts of food from its known “bigger is better” burgers, local craft beers, fresh seafood, and live entertainment on Friday nights. 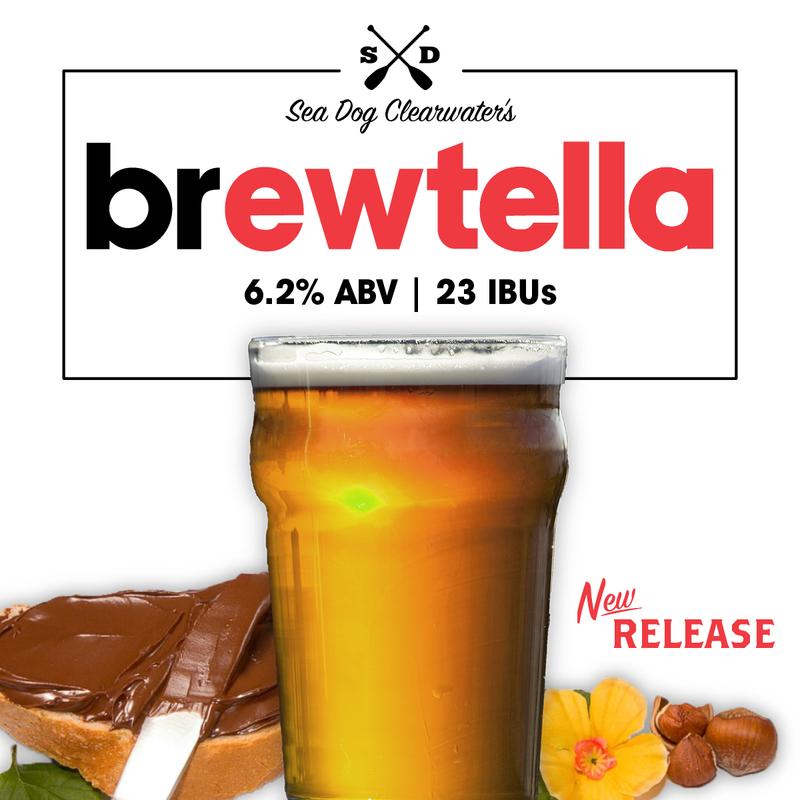 Boulevard Burgers also has different themed days throughout the week like “Kids Eat Free Wednesdays” and “Yappy Hour” on Saturday where you bring your dog and get $1 off all drafts. Boulevard Burgers offers half off apps every Monday with choice of Mussels, Buffalo Mac & Cheese, Rhode Island Style Calamari, Crab Cakes, Wings, and more. Want to give cheers to the weekend? The burger joint also hosts Late Night at the Boulevard with $5 bar bites and $3 beers every Friday and Saturday. Order local favorites like Loaded Tater Tots and Jalapeno Poppers while still being gentle on your wallet. Marco has owned many restaurants in New York, as well as St. Petersburg’s Fortunato’s On Central and the Local 662. Additionally, he’s purchased the De’Lites Ice Cream shop next door to Boulevard Burgers with plans to introduce a completely new concept to Gulf Boulevard and St. Pete Beach. He expects to open the doors this Fall.